A tester at Tom's Hardware has just published the results of a huge 85 product test of thermal compounds to measure the impact they have on cooling performance and usability. Liquid metal was found to be the most efficient, but there was a smaller difference across the board than we would have expected. Comparing the cooling performance of thermal pastes is something that enthusiasts get very invested in, whether the goal is to use the paste with the best cooling performance, to find the best value option, or just to find a low hassle product that is good enough for their needs. 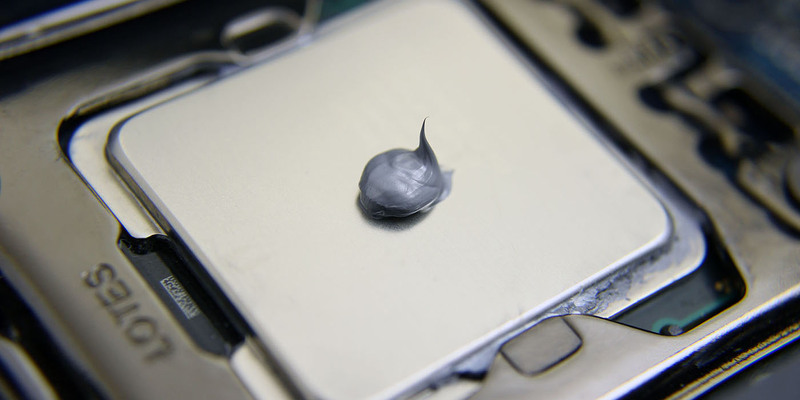 The problem is that testing thermal paste is a laborious task with many influencing factors that make it near impossible to address all variables in a single run down. However, Igor Wallossek, a tester with Tom's Hardware has just published the results of a comprehensive review on 85 different thermal paste compounds, utilizing a regime involving a four-hour burn, a two-hour break, then followed by four times one-hour measurements with one-hour breaks in between. This method means that each of the three CPU cooler scenarios (Water cooler, screw on third party heatsink with back plate, and stock cooler) needed 16 hours of testing. The temperature delta versus ambient was the measured variable during these stress tests. The first thing to note is that in all three CPU tests the four liquid metals posted the four best results. There was also more of a significant difference between them and the fifth placed paste than there were among other pastes and the ones on either side of them. The second thing to draw your attention to is that the liquid metals only showed a 1-3 C improvement over the best non-conductive pastes, despite the greater risk that is taken by using them. Thirdly, there was only a 4 C difference in performance between the best and worst non-conductive pastes. All told the improvement in performance based on money spent is not hugely noticeable at stock clock speeds and fixed fan speeds. It would be interesting to see if the products exhibited a larger spread in performance when being tested using the higher heat output of an overclocked CPU, as well as a test with the fans set to auto to measure the impact each has on fan noise. We feel that these are the two cases where enthusiasts are most likely to be concerned with the performance of their thermal paste, but given the massive scale of the project, we can understand why these additional tests weren't part of the lineup. For those who want to view the original graphs for more detail, and to see the testers feedback on the usability of each compound (which may matter more for some users than an extra degree or two), then please click through to the full article here. Finally, share with us below where your preferred compound was on the list, and whether you have experienced any performance degradation over time with any of these products.